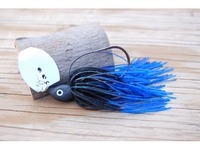 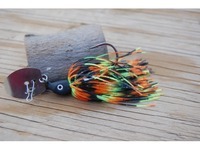 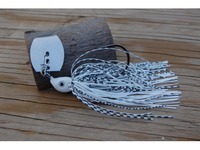 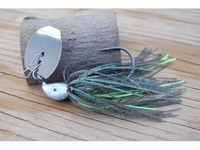 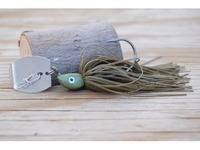 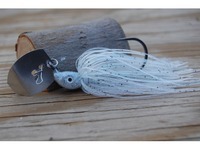 Built on a 6/0 Eagle Claw or 5/0 Lazer Trokar, the Big Head Wobbler is a bladed jig that is hand poured, painted, and wire tied, right here in the Heartland of America with fine attention to the details. 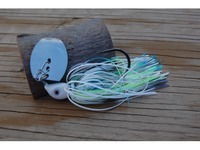 The strong vibration, and beefy profile draws savage strikes from big fish, and the super sharp and strong hooks ensure they make it to the boat. 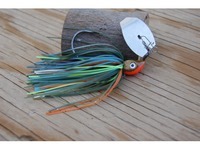 The cured powder painted head and wire tied skirt will handle the abuse, and keep coming back for more! 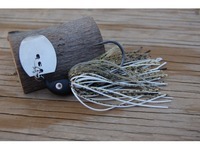 Whether youre a weekend angler, or a seasoned pro, the Big Head Wobbler will put more fish in your boat!